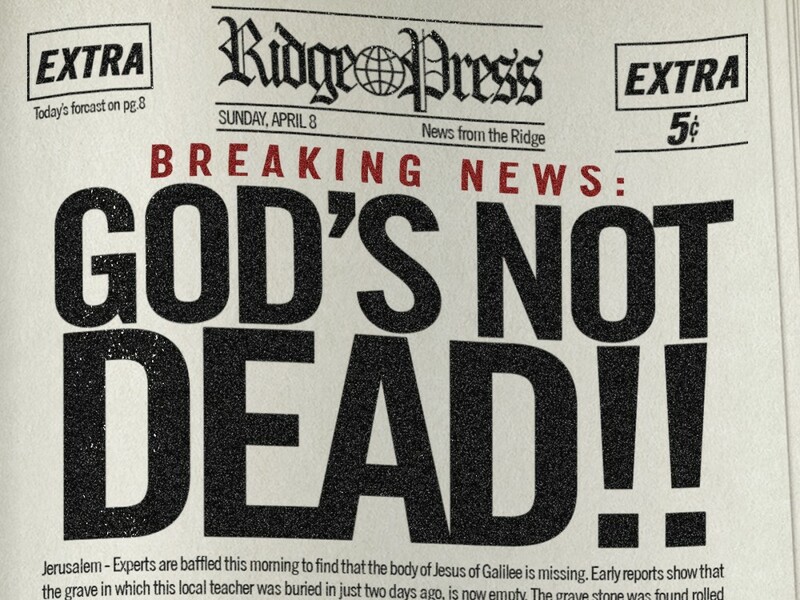 "God's Not Dead", the movie, opens in theaters around the country today. This is, if the trailers are any indication, a film that is truly part of the "Christian" genre of movies, that may impact culture in a positive way this year. February's release of "Son of God", another "Christian" film, not without its controversies, has thus far grossed over $50 million domestically. The new Russell Crowe film, "Noah" is due to open a week from today. This is a big budget (reportedly $120 million big) Hollywood production from Director Darren Aronofsky. "'Noah' is the least biblical movie ever made. I don't give a f*** about the test scores. My films are outside the scores". Living Water ministries is releasing an online only movie on the same day as Aronofsky's "Noah" in direct response to Hollywood's version of Noah, called, "Noah and the Last Days". This promises to be perhaps the most ministry minded and true to the bible movie of 2014 (see trailer below). It is downloadable right now for a cost to offset the production expenses of the movie, or will be free starting on the 28th of March to all. Later this summer we will be able to see Nicholas Cage as airline pilot Rayford Steele in a re-make of the same name starring Kirk Cameron in 2000. Surprisingly, unlike Aronofsky's "Noah", this movie is produced by Christian filmmaker Paul LaLonde, and still contains one of Hollywood's best known leading actors. Perhaps there is then hope that "Left Behind" will have a truly impactful Christian message. I am all for a good Christian film that challenges the culture, and not so much for those that are not true to the scriptures. However, the argument, that I don't necessarily buy into, is regarding movies like "Noah" and to a lesser degree, "Son of God" is that it is a good thing to have God, or Christian based movie themes on the big screen for the purpose of allowing you and I to then use these films to speak to a friend or neighbor about the love of Christ, when perhaps that conversation may seem "clumsy" or even insurmountable beforehand. If this is the case, let us be wise, and be busy in a post-Christian culture that has little idea of what the bible actually teaches - W.E.